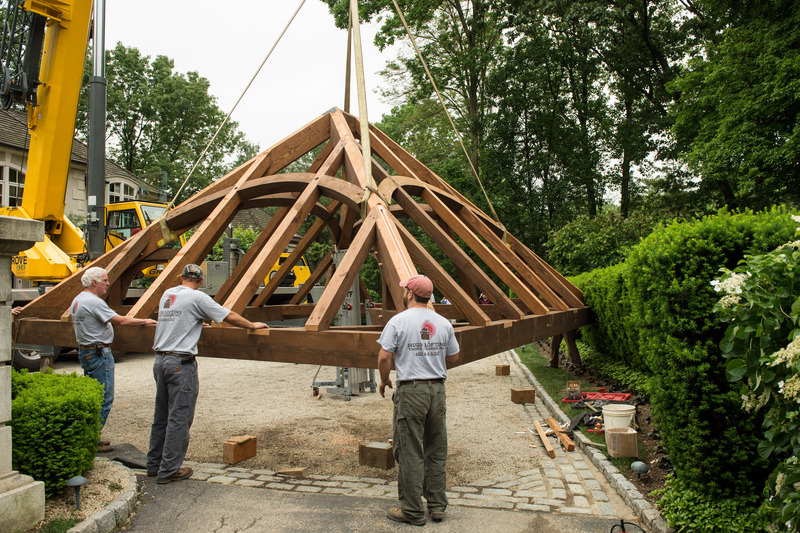 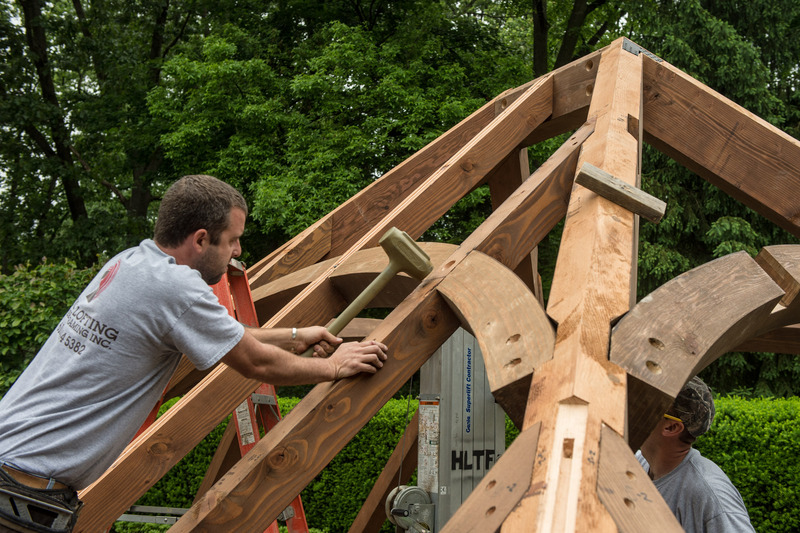 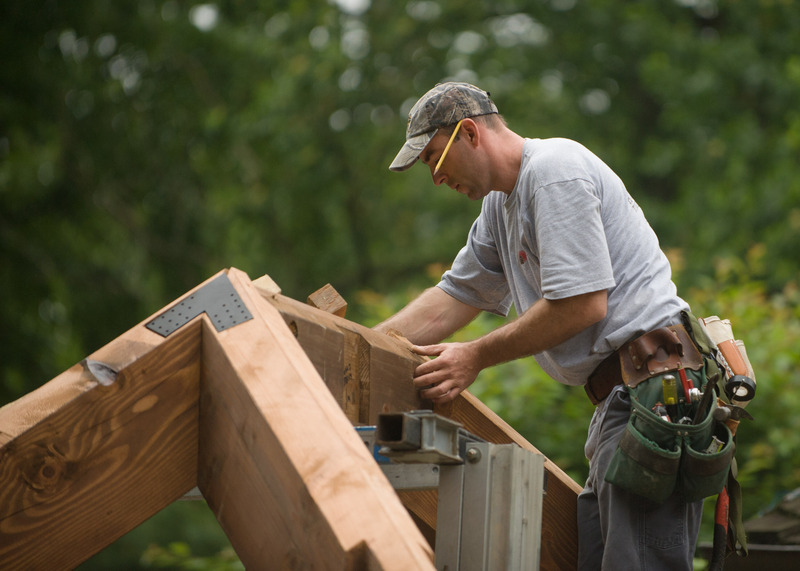 Gladwyne Pavilion Continued - Hugh Lofting Timber Framing Inc. 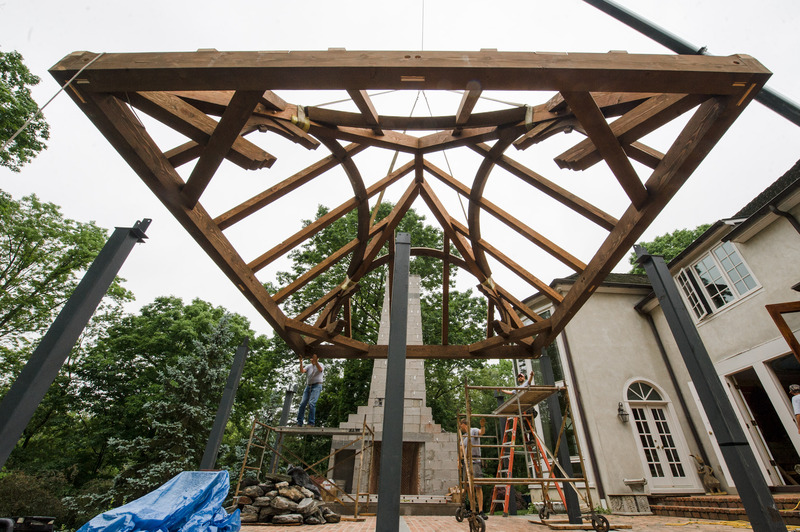 This past month the HLTF crew raised a poolside pavilion in Gladwyne, PA. 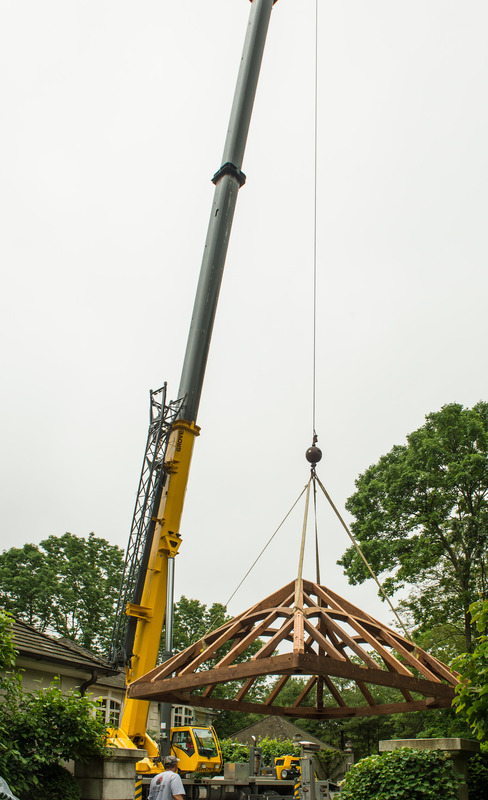 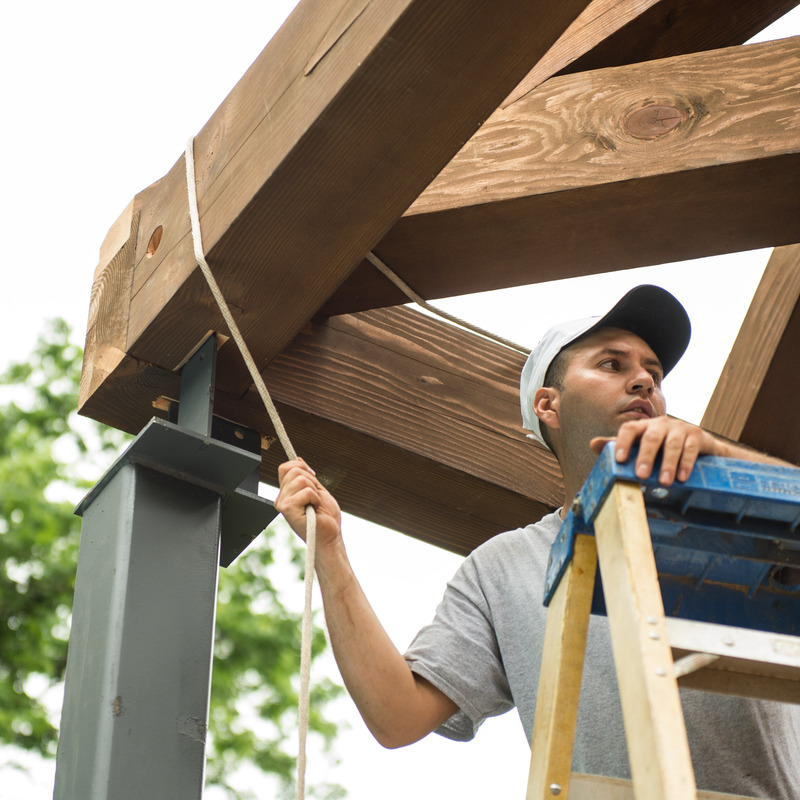 The pre-assembled heavy timber roof truss system was flown into place by crane. 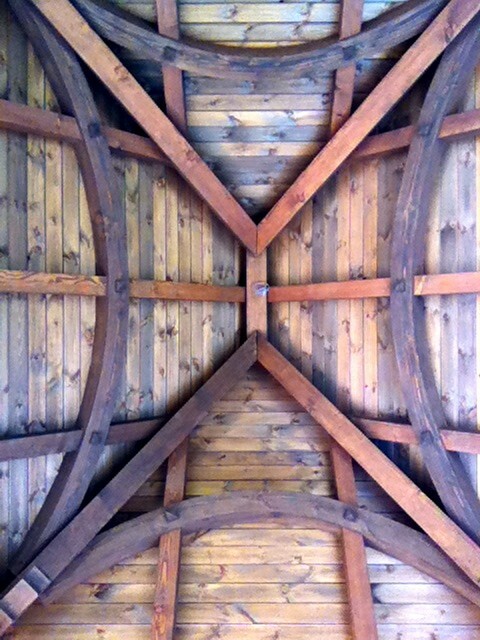 The pavilion was constructed from Douglas Fir timbers that have a dark stain applied to its surface. 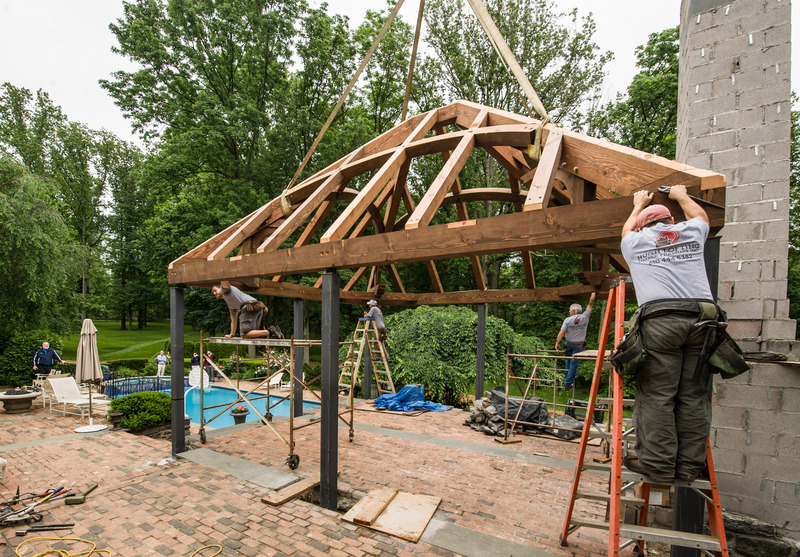 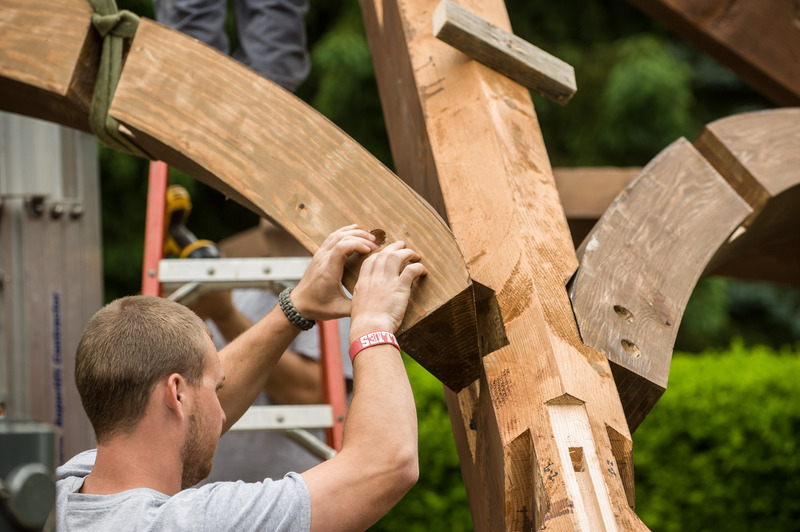 The crew assembled the heavy timber roof system on the ground on the opposite side of the main house. 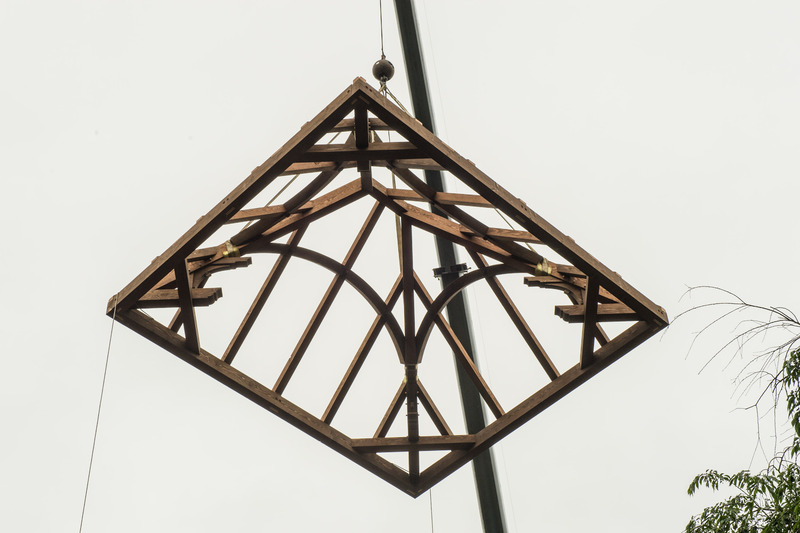 Once this was assembled they strapped the frame to fly level so that the crane could position the roof system into place. 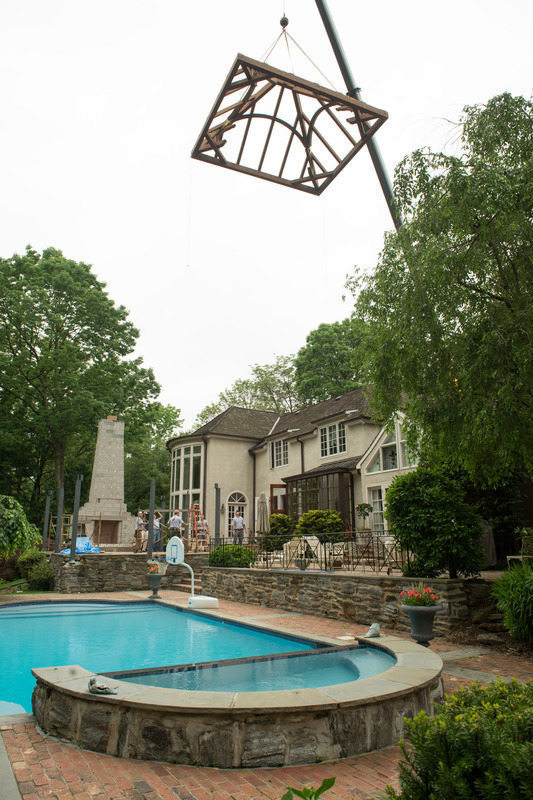 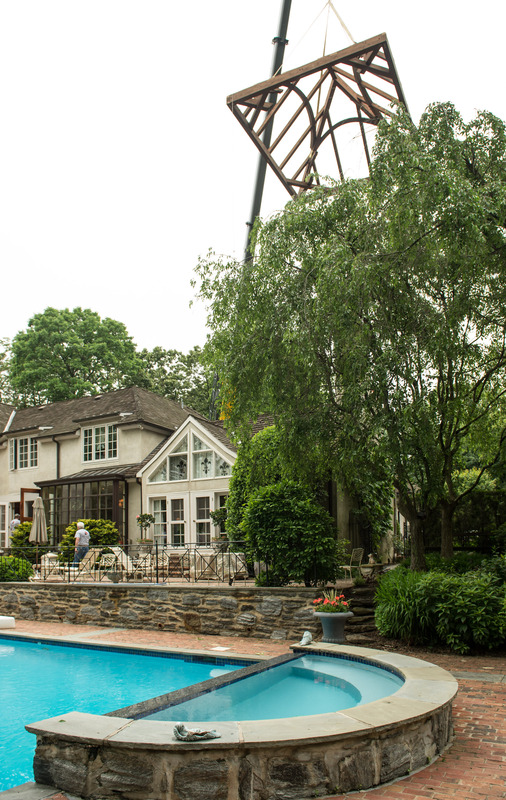 Because of the job site layout, the timber frame had to be assembled on side of the house and then flown over the house to the poolside. 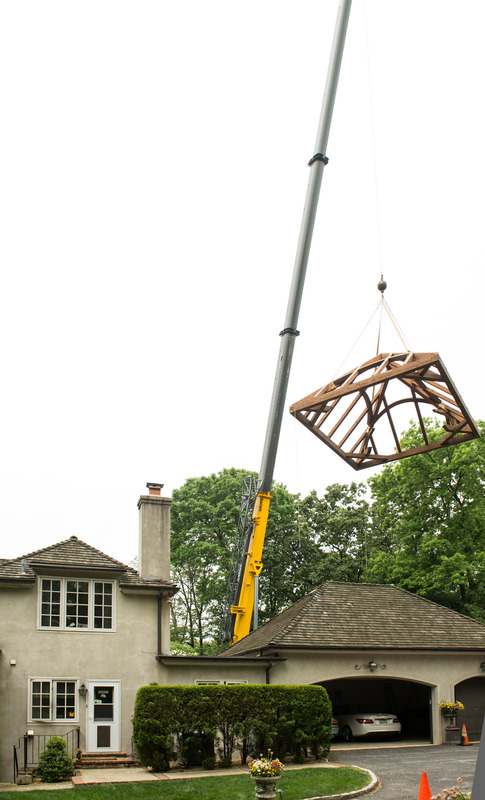 The frame was cautiously flown over the house and in between chimneys. 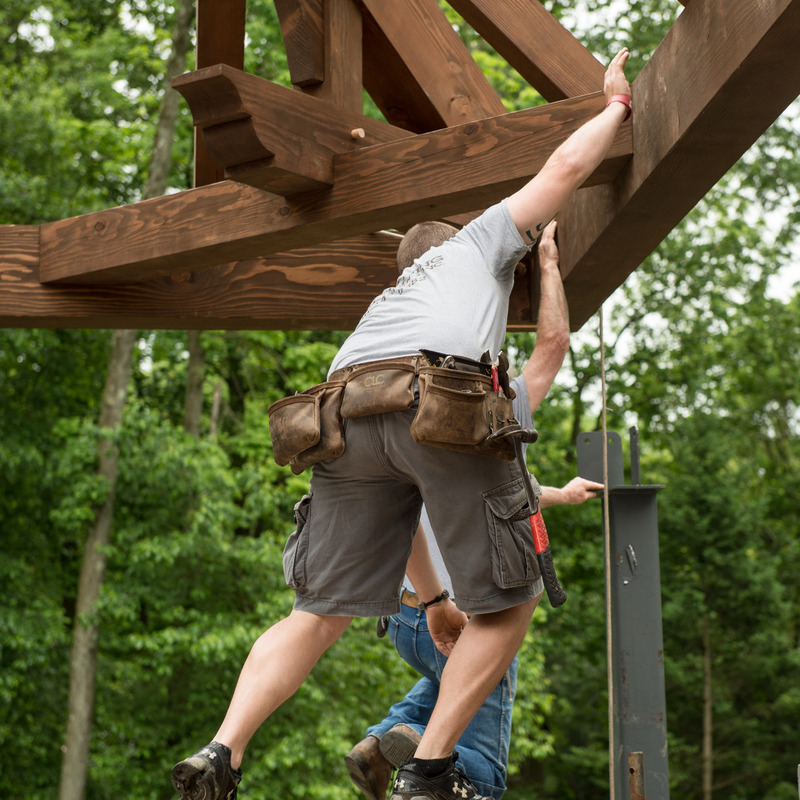 This was no easy feat. 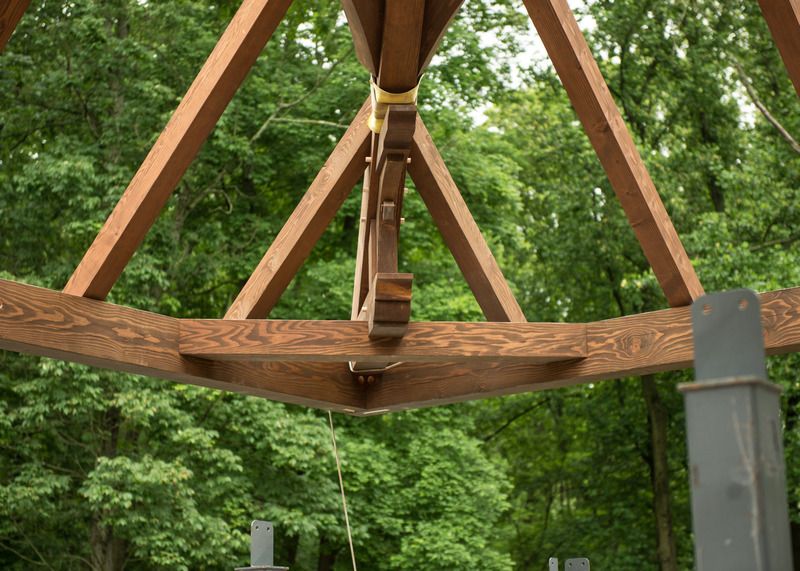 There is also a fireplace right next to the pavilion that had to be maneuvered around. 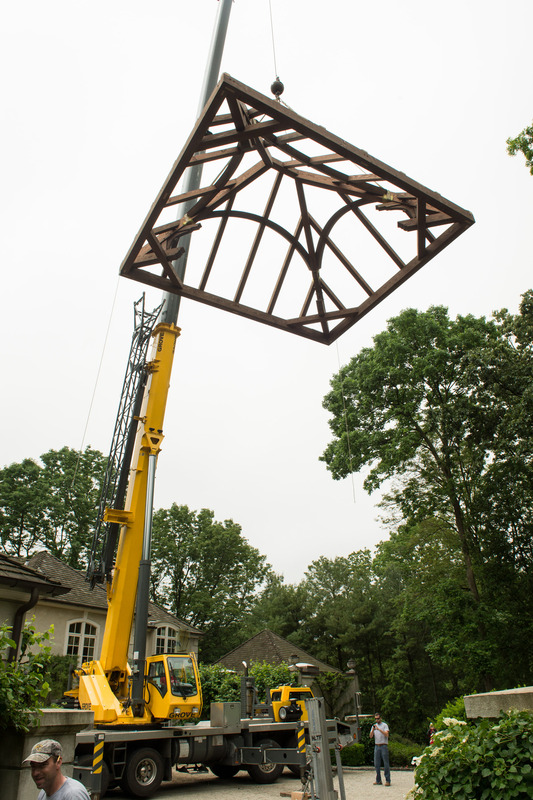 The roof system sits atop steel posts. 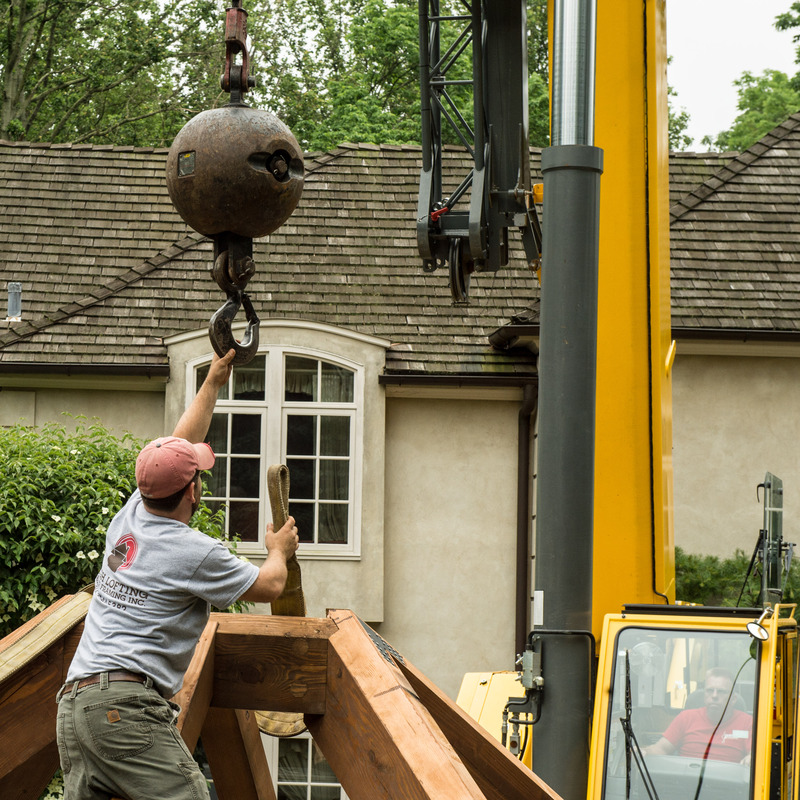 The crew had precisely cut the post slots in the shop so that the timbers fit exactly into place. 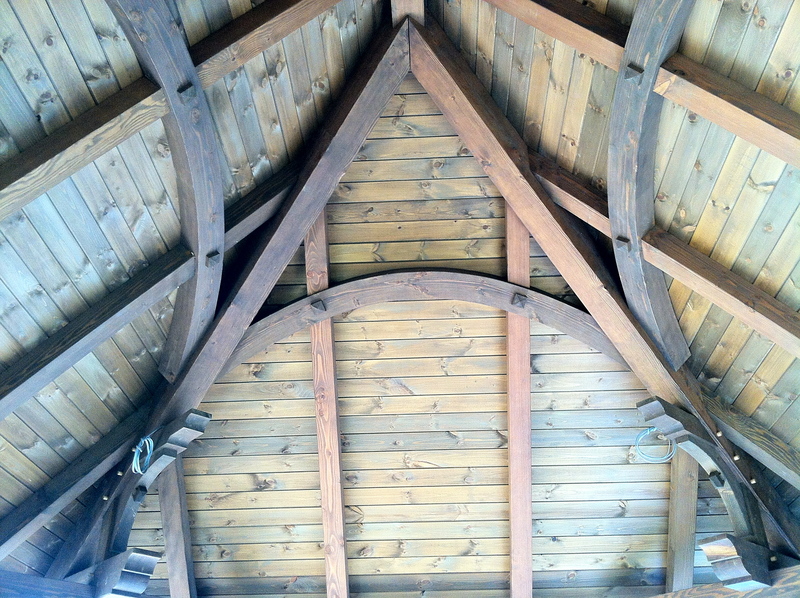 Eastern White Pine 2×6 roof decking was applied to the roof system to finish off the structure. 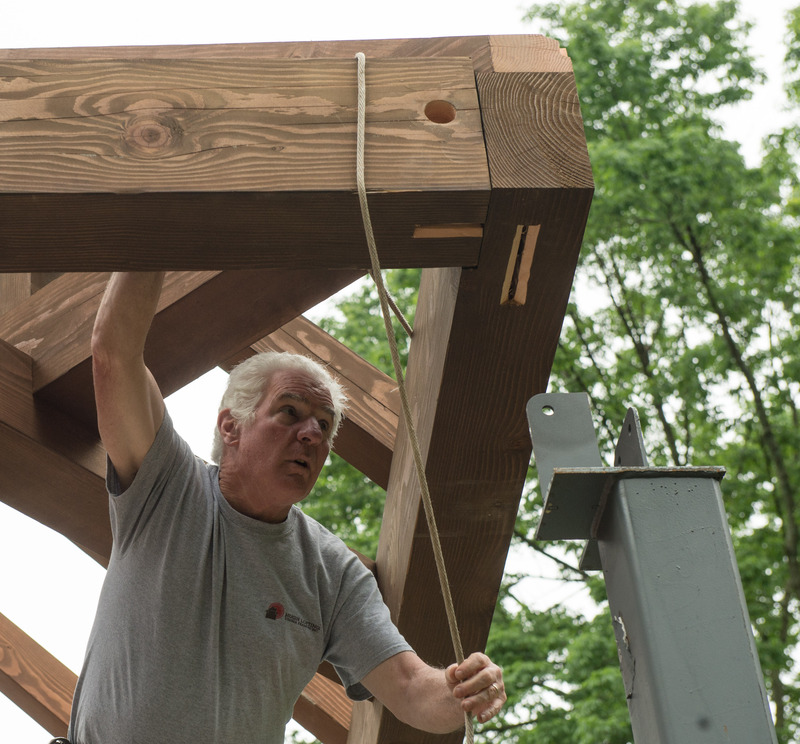 Check back for the finished project!